James Arthur Prescott was born on 7 October 1890 at Bolton, Lancashire, England. He was the first of seven children of Joseph Arthur Prescott and his wife, Mary Alice, nÃ©e Garsden. His father, Joseph Prescott began adult life as a fitter of textile machinery at the site of installation which took him to Italy, Alsace (then part of Germany) and northern France. His special line of expertise was in machinery for fine spinning, the comber and spinning mule. He rose from fitter to maintenance engineer, to foreman, and to manager in charge of development. In 1897, he was appointed management engineer with the cotton textile firm of CrÃ©py at Lille in northern France and the family, then with three children, moved to that city. Early in 1902, the family returned to Lancashire, this time to Accrington where Joseph was employed by the firm of Howard and Bullough. James’s grandfather, John Prescott, had worked in textiles and had been closely associated with the trade union movement as a member of the Society of Engineers, as also were some of James’s uncles and cousins. John Prescott had been secretary of Bolton No 2 Branch of the Amalgamated Society of Engineers from 1858 to 1893 and was Chairman of the strike committee during the strike of iron-workers in 1887. He was succeeded as secretary by his son, Thomas. James Prescott attended kindergarten at Chalfont Street, Bolton, and then from 1897 to 1901 received his primary education in French at the Ecole LittrÃ©, a school under the municipality of the city of Lille. From the prizes awarded to him it is clear that he was a scholar of some merit. He remained fluent in French throughout his life. Following the return to England, and after a year at Spring Hill Elementary School devoted to re-establishing his command of English and gaining familiarity with the Imperial system of weights and measures, he spent the period 1903 to 1908 in secondary education at the Accrington Municipal Secondary School, later to be the Grammar School. Here he was awarded scholarships by the Accrington Co-operative Society and by Bridge Mechanical. His Leaving Scholarship to the University, awarded by the Lancashire County Council, was based on his results at the Higher Alternative Matriculation Examination. He graduated Bachelor of Science with First-Class Honours in chemistry from the University of Manchester in 1911. This was followed by some months of postgraduate work in organic chemistry on a scholarship under William H Perkin, whose like-named father was widely regarded as the founder of the coal-tar dye industry. Prescott’s work related to the extraction of morphine and cocaine from commercial raw materials and was undertaken primarily to provide a basis for commercial development by Burroughs and Wellcome. During this period the teachers who particularly influenced him were WH Perkin whose lucidity was exemplary, Robert Robinson, HB Dixon, Arthur Lapworth and Chaim Weizmann. Weizmann was later to forsake chemistry for the Zionist movement and to become President of Israel, 1949-52. In addition to his research work, Prescott also attended a pioneer course in biochemistry given by Weizmann and took part in a short course of postgraduate lectures on nuclear disintegration given by Ernest Rutherford, Hans Geiger being the demonstrator. During the summer of 1912, Prescott spent some weeks at the Agricultural College at Holmes Chapel in Cheshire, recently affiliated with the University of Manchester. Here he made the decision to follow a career in agricultural chemistry. In 1912, he received the first postgraduate scholarship in agricultural science awarded by the British Government and took up his scholarship at Rothamsted Experiment Station. There he became engaged in the study of phosphate in the soil, particularly of those aspects concerned with its extraction and estimation. One of the conditions of his scholarship was that he should spend a period at a continental university. He chose the University of Leipzig where studies in colloid science were conducted by Dr Wolfgang Ostwald in the Institute of Applied Chemistry. As well as having long discussions with Ostwald, Prescott took the opportunity to work on the literature on adsorption, to attend lectures on petrology and to take a practical course in agricultural biochemistry. His plans for further study were cut short by the threatening outbreak of the World War of 1914-18. He was advised to leave Germany immediately by Ostwald with whose family he had become friends. Having accepted a proffered loan of 100 marks from an American student named Osgood, he caught the last train to the Hook of Holland and went by the regular ferry service to Harwich. He arrived in Accrington with about two pence in cash and very hungry. Osgood returned later to Harvard while Prescott went back to Rothamsted to work again on phosphorus and the soil. In 1916, he took up the position of Chief Chemist and Superintendent of Field Experiments at the Sultanic Agricultural Society of Egypt. The Sultanic Agricultural Society had been founded in 1895 by Prince Hussein Kamel who in 1914 became the Sultan of Egypt and who, on account of his interest in agriculture, was known as ‘The Father of the Fellah’. Its headquarters were at Gezira and it ran an experimental farm at the village of Bahtim, near Matarieh, the legendary home of Moses and of the Holy Family while in Egypt. Prescott’s eight years of work in Egypt covered a very different and far wider range than that at Rothamsted. His thirteen papers published during this period reflect this difference in detail. Since the productive soils of Egypt are irrigated and do not respond to phosphate, there was no practical reason to follow up his earlier work on soil phosphate and his attention was therefore diverted to the study of nitrogen. Other work involved studies of bacteriological activity and field experiments with maize and cotton, including spacing and watering trials. He also studied base (i.e. cation) exchange and alkalinity of Egyptian soils and carried out a trial on the digestibility of bersim clover (Trifolium alexandrinum) for which an experimental group of four sheep was used. During 1919, Prescott submitted a thesis on his phosphate studies at Rothamsted to the University of Manchester and was awarded the degree of Master of Science. When his paper on ‘Farmyard manure in Egypt’, published by the Sultanic Agricultural Society in 1920, was translated into Arabic, his MSc became Alim al Khemia ‘ ‘Learned in Alchemy’ ‘ much to his amusement, mixed with a little whimsical dismay at the thought of potential customers. Following the attainment of its independence in 1922, the policy of the Egyptian government was to replace British scientists by Egyptians. Foreseeing such a policy, some of the British residents had already left to take up appointments elsewhere and those staying on were placed on a month to month basis. In 1924, Prescott was offered and accepted the Chair of Agricultural Chemistry at the Waite Agricultural Research Institute, University of Adelaide. For Prescott the Egyptian experience had brought a lasting respect for the sobriety and industriousness of the fellaheen and an understanding of and sympathy for many aspects of Muslim life. The family left Port Said on the Moldavia on 13 August and arrived in Adelaide on 9 September 1924. Prescott’s own professional accomplishments were most aptly summed up by an approach by the Egyptian government in 1927 asking him to consider a return to Egypt in its government service and to state his own terms. James Prescott declined. The Egyptian venture was over. 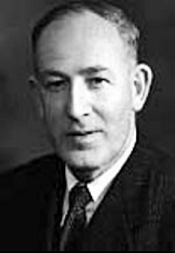 At the University of Adelaide he held the following positions Professor of Agricultural Chemistry, University of Adelaide (1924-55), Director of the Waite Agricultural Research Institute (1938-55), and Professor Emeritus from 1956. Concurrent with his University appointment he was the Foundation Chief of the Division of Soils CSIR (part time) from 1929 to 1947. As a result of his inspection, Prescott suggested the setting up of a Soil Investigation Section under his leadership at the Waite Institute. This was implemented in July 1927 by the appointment of JK Taylor and of HN England who commenced the long task of soil surveying all irrigation areas of the riverine region with a detailed survey of Block E, a part of the Renmark Irrigation Area. At this time Prescott became Chairman of CSIR’s Irrigation Research Station Committee. The assessment of the natural resources of Australia is a pre-requisite of any intelligent planning of the use of these resources. The use of the land of Australia depends primarily on two factors: soil and climate ‘ these between them determine the native vegetation, which is the basis of pastoral occupation or forest management and the choice of crop, trees or pastures which may be grown. The period of exploitation of the best soils in the best rainfall regions is rapidly drawing to a close, and increasing use must be made in the future of soils which are deficient in one or more respects providing the rainfall is adequate and these deficiencies can be overcome. Where water conservation is possible and irrigation practicable, water must be used on appropriate soils where there is a reasonable chance of irrigation husbandry being maintained on a permanent basis. These words reveal that Prescott was not only a scientist concerned with fundamentals but a conservation-minded agriculturalist in that he recognised the need for land development in Australia, provided that it was based on sound principles and attempted within the limits imposed by climatic conditions. His classification and mapping of the soils of Australia and his direction of detailed soil surveys of strategically chosen areas together with his climatological techniques for determining the availability of soil moisture provided the best practical parameters for the use and conservation of Australian soils. This was recognised when he became a Foundation Fellow of the Australian Academy of Science in 1954. Prescott was the devoted researcher, an inspiration to all and the focal point of the esprit de corps of the research staff. Prescott’s scholarly influence was demonstrated in his enthusiastic development of the Waite Institute library to an unusually high standard. He also took the initiative in 1926 in the establishment of the Waite Institute Agricultural Sciences Club, which held regular interdisciplinary meetings that played an important role until the foundation of the Australian Institute of Agricultural Science in 1938. He was for a time Editor of the Empire Journal of Experimental Agriculture and the Australian Journal of Experimental Biology. James Prescott also had a notable association with Scotch College in Adelaide. He was appointed a Member of the Council of Governors in November 1938, became Deputy Chairman in August 1943, Seal Holder in June 1949, and Chairman in June 1953, remaining in that capacity until May 1961. The school laboratories for advanced physics and chemistry, were named the Prescott Laboratories. He also had an association with adult education in Australia, especially in the University of Adelaide. He was appointed to the Joint Committee of the University and the Workers’ Educational Association in 1948. He was appointed to the Board of Adult Education in 1958 when the Department of Adult Education of the University was created. He had also represented the University on the South Australian Committee of the National Films Board. In 1934, a discussion group named after the aboriginal word for talk amongst people, the Wongana Circle, was formed in Adelaide. Prescott became a member in 1936 and remained an active participant until 1962. The members came from many intellectual walks of life in Adelaide including the university, business, the judiciary, the press and the arts. It included such widely known people as SW Pennycuick from the University Department of Chemistry and Hans Heysen, the painter. Their discussions ranged over a wide field of topics and sometimes included guest speakers. After a gap of some years Prescott attended the 50th Anniversary Dinner in December 1984 and the 50th anniversary in 1986 of his own first meeting in August 1936. In 1947, in recognition of Prescott’s service to Australian science, he was made a Companion of the Order of the British Empire. In 1956, the Centenary of the University of Melbourne, that body conferred on him the Honorary Degree of Doctor of Agricultural Science. In 1971, the Australian Society of Soil Science established the JA Prescott Medal to be awarded for outstanding contributions to soil science and climatology. Prescott said that this action gave him more pleasure than any other honour accorded to him. In 1980, the Waite Institute and the CSIRO Division of Soils held a two-day symposium to honour his ninetieth birthday. The major purpose of the symposium was to recognise his distinguished contributions to Australian agriculture and agricultural research through the disciplines of soil science and climatology. The proceedings, Red-brown Earths of Australia, were published in 1981.